Three basic tools you need for most pruning jobs are garden shears, loppers, and a pruning saw. Keep your tools sharp for clean cuts; disinfect them after pruning diseased material. Three basic tools are all you need for most pruning jobs: shears, loppers, and a pruning saw. Keep tools sharp and disinfect them after pruning. Prune in winter or early spring when plants are still dormant. Prune plants to maintain symmetrical bushes and to encourage strong new growth. Cut back all previous years growth as much as one-third its length. Remove branches that cross through center and remove plants understock. Also prune weak and dead stems as needed. This will also encourage strong new growth. The best time to prune crepe myrtles is in February. Prune out twiggy stems and any dead wood. Thin out crossing or crowding branches in the plants center. If tree form, prune lower branches. Prune top to maintain symmetry. Each year after flowering, cut 12 to 18 inches off the tips of branches that have bloomed. Hydrangeas bloom on last year's stems. These include Bigleaf Hydrangeas, Oakleaf Hydrangeas, Lacecaps, SummerBeauty, and Nikko Blue. Pruning should be done when the flower has faded. Cut back the flowering stems to the strongest pair of new shoots. As plants mature, begin to thin out the oldest woody stems. Remove crowded crossing, broken, or dead branches. 7. When Do Fruit Trees Need To Be Pruned? The most common fruit trees are apple, peach, pear and cherry. 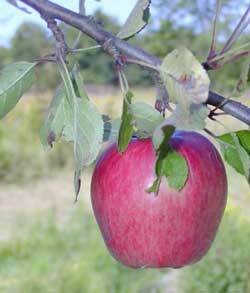 Apple trees should be pruned in late winter or early spring before new growth starts. Always remove all suckers (summer is a great time to remove suckers as they appear.). Also remove dead and other unproductive branches as needed. Peach trees are fast growing and need to be pruned in winter. Without pruning the peaches will grow farther away from the tree's center. This will put great strain on the branches, causing them to break. In winter, thin out upward-growing branches that cross in tree's center. 9. When Do Junipers Need To Be Pruned? Junipers need very minimal pruning. They should be pruned to correct their shape, to accent their form, or to limit their size. This should be done during the juniper's growing stages in mid-summer.